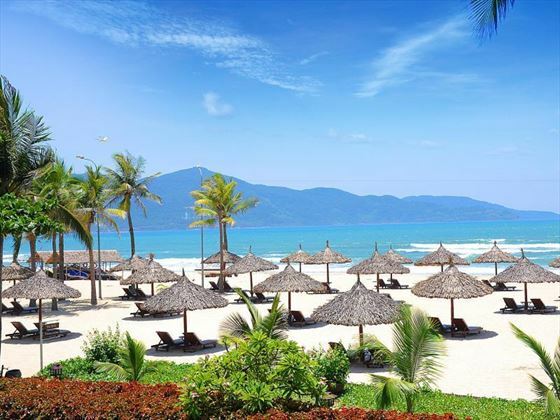 If you like to feel cool white sand between your toes but don't want to compromise on facilities and accommodation then the Furama Resort in Da Nang could be exactly what you're looking for in east coast Vietnam. 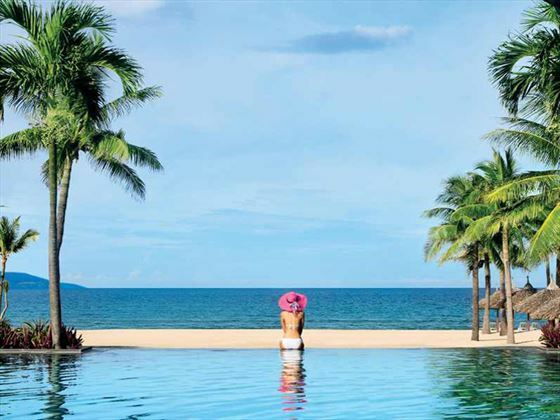 Featuring numerous dining, gaming and lounge bar venues, this is the perfect resort to kick back, relax and experience essential Southeast Asia with plenty of choice to keep the whole family happy and sated from morning until night. 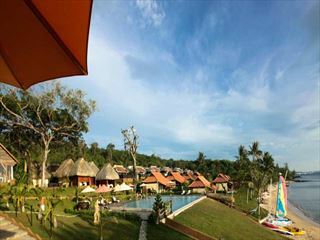 As well as a superb selection of spa services and swimming pools, Furama also boasts a succession of classes and activities to take in-resort with everything from Yoga and Tai Chi to watersports and volleyball enabling guests to relax, unwind and enjoy the good times at their own pace. Situated right on Da Nang Beach which is on the central eastern coast of Vietnam pretty much equidistant between Hanoi in the north and Ho Chi Minh City in the south, and about 30 minutes from the heritage centre of Hoi An. Da Nang International Airport is just a ten to 15 minute drive from resort and is regularly serviced with internal flights from both Hanoi and Ho Chi Minh. Garden Superior Rooms – natural wood and traditional décor helps to create a comfortable guest room complete with balcony or terrace area. 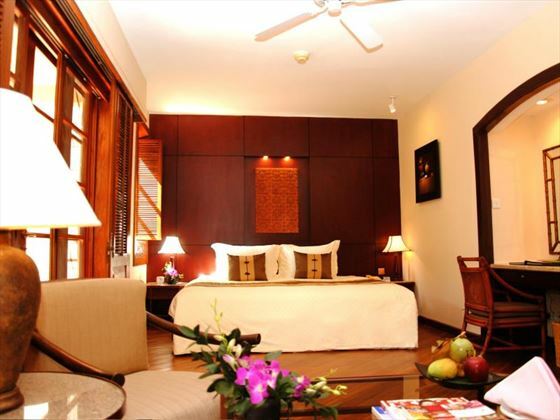 Garden Deluxe Rooms – a little bit larger than Garden Superior Rooms with an extra seating area and larger balcony. Lagoon Superior Rooms – same size and style as Garden Superior Rooms with garden and pool views from the balcony. Ocean Deluxe Rooms – just larger than Garden Deluxe Rooms with one king-size bed and sea views from the balcony or private patio. Ocean Studio Suites – same size as Lagoon Superior Rooms with split level, open plan, living arrangement which opens out onto a good sized balcony. Ocean Suites – double the size of rooms mentioned above with a spacious furnished balcony as well as separate living areas, bedrooms, two bathrooms and arched ceilings. Fumara Villas – a superb array of luxury villas featuring indoor and outdoor lounge and dining space, plunge pools, kitchen facilities, designer bathrooms and three or four bedrooms spread over two or three storeys of sleek and chic contemporary living space overlooking the beachfront. 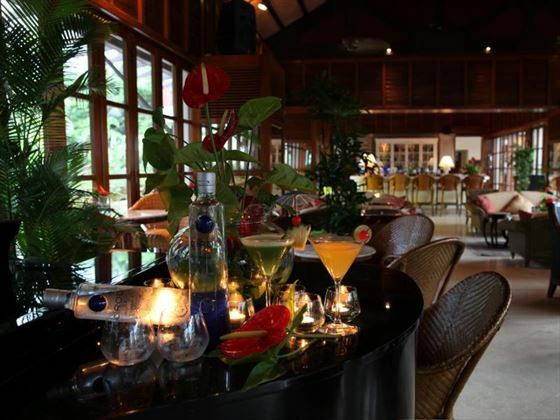 Café Indochine – all day dining venue with a colonial feel and Southeast Asian menu created in open show kitchens. Beachfront Steakhouse – fine cuts, grills and signature sauces for steaks overlooking the beach at sunset. Don Cipriani's – air conditioned poolside Italian dining venue featuring seafood specialities for lunch and evening meals. Ocean Terrace Restaurant – all day snacks, light bites, drinks and cocktails served al fresco on the beachfront. 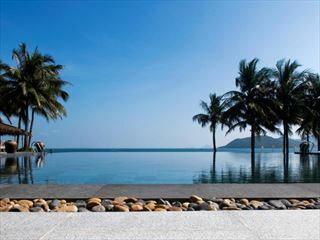 Hai Van Lounge – chilled out beach bar setting for all day drinks, chats, Wi-Fi moments and evening entertainment. Lagoon Bar – long drinks, snacks and refreshments by the lagoon pool. Ocean Terrace Bar – all day outdoor dining facility situated just steps from the beach. 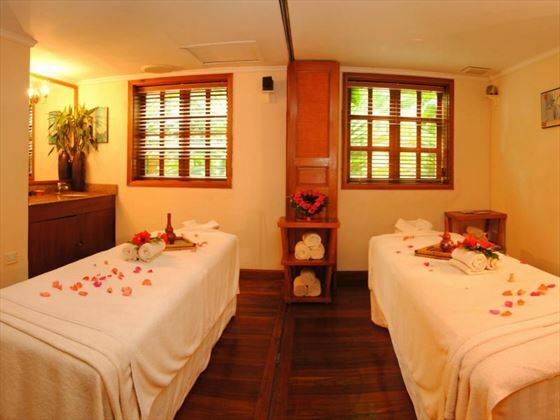 Furama Spa – full choice of services and packages for couples and individuals including sauna, massage and Jacuzzi baths. Gym suite with good choice of cardio, weights and strengthening equipment. Club 99 – Japanese style casino with an extensive range of Poker, Roulette, Black Jack tables and slot machines. Non-motorised watersports, including: windsurfing, body boarding and kite surfing. Motorised watersports, including: jet skiing, water skiing and banana boats. 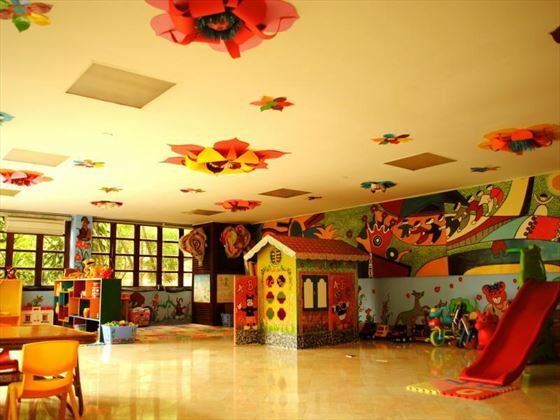 Kids' and teens' clubs for organised fun and games. 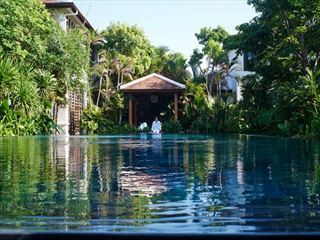 Intimate and tranquil, this boutique beach escape is a haven of peace and serenity surrounded by unspoiled tropical scenery. Indulge with a relaxing holiday filled with pampering and beautiful vistas.